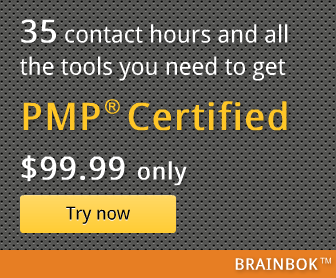 I came across a useful lessons learned post from Erika who passed the PMP exam in Nov 2009. She highlighted a very important point - many times the answer to one question can be found in another question on the same exam. Another interesting point that she mentioned in the comments section, and the one I concur with, is that Rita's process game is overemphasized in Rita's PMP Exam Prep book. Rita's book is really wonderful and I strongly recommend it, but there are things in her book that are not as relevant as they sound. That's why it's important to read lessons learned posts from successful candidates, and learn from their experience.